Watch our latest webinar on the architecture of IBM Cloud Automation Manager. Watch this webinar to learn more about the new IBM Cloud Automation Manager and how you can get started today! Learn about the challenges of today's multi-cloud management and how IBM Cloud Automation Manager alleviates them. 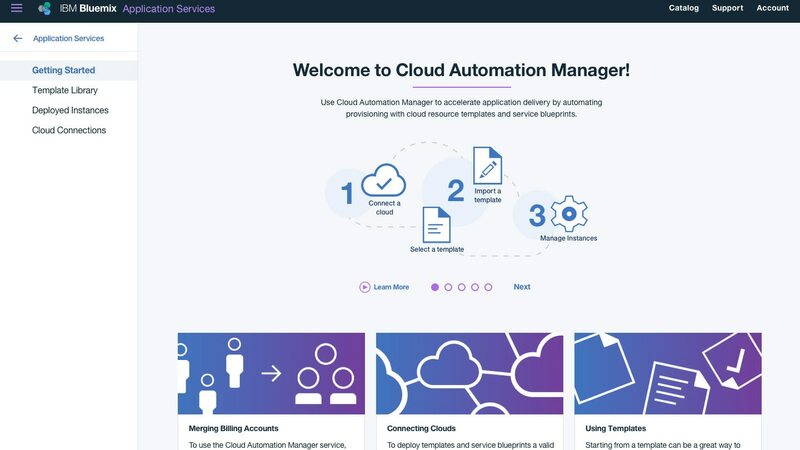 View a quick demonstration of how to get started with IBM Cloud Automation Manager in IBM Bluemix. Learn how to manage computing resources in a unified, secure and predictable way. Check out the infographic to learn how implementing a multi-cloud self service environment can help your business.